I have studied drums (Pop/Jazz) and classical percussion at the University for Music and Performing Arts in Vienna (Master degree), and I live in Vienna where I have my home studio and I teach at a state music school. Besides working with these bands, which includes mixing/producing all albums and videos of Elephants In Paradise and Jacobs Moor, I also work as a freelancer/independent drummer, playing various styles and jobs, everything from Jazz to Heavy Metal, Jazz Trio gigs, musicals, cabaret shows, Big Band gigs and Top 40 cover jobs. I play about 100 gigs per year, mainly in Austria and Germany. I love the new V KICK and V BEAT microphones." I love the new V KICK and V BEAT microphones. They sound modern but not “over-pre-EQ’d” and the V CLAMP is the best mic clamp for drums on the market. It doesn’t get loose, it’s easy to mount, and like the microphones: it’s indestructible! 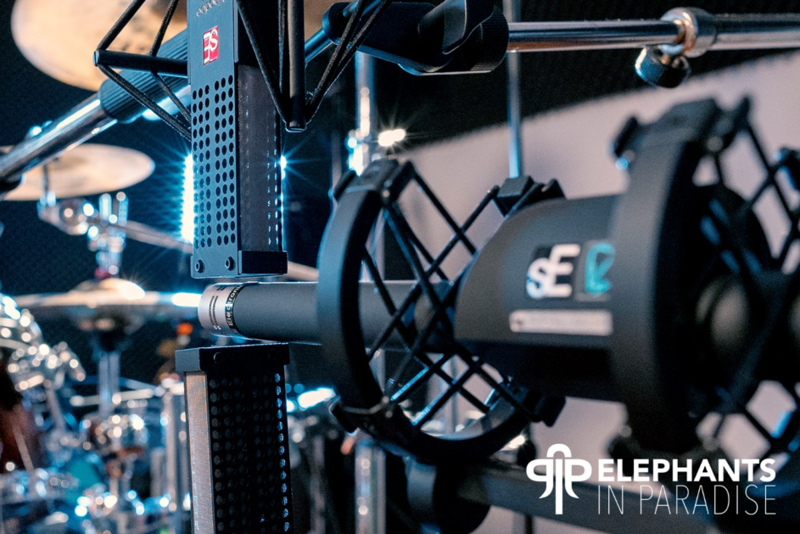 Any sE ribbon microphones will sound incredible on miking a room, like the VR1 and VR2 in Blumlein position or the RNR1 in AB – wide stereo position. If I had to record a drum kit with just two microphones it would be a pair of RNR1s; I never had any better microphones above or in front of my drums! When I record for my bands Elephants In Paradise and Jacobs Moor I use quite big drumset and I like to use a lot of microphones - close and ambient microphones, also “fun” microphones like a V7 X used as a Core Mic to pick up the tone of the whole drumset in the center of the drumset. As sE Electronics offer such a big variety of microphones (dynamic, condensers, ribbons, small/large diaphragm etc. ), I always find the right microphone for any situation." The V BEAT not only sounds incredible on toms but also on snare drums, and I like to use two mics on the top of the snare: a V7 X + a V Beat. For recording guitars with my band Elephants In Paradise we also use a V7 and a VR1 with the guitaRF Reflexion Filter.